Thursday 9 a.m. - Noon. Hours on Thursday afternoon and on Friday are available by appointment. The office is closed over lunch on Monday, Tuesday, and Wednesday. Advanced Computer Technology specializes in providing Southern Illinois with top quality, custom built computer systems at excellent prices. Started in Goreville in August, 1994 by Lonnie Gunther, A.C.T. was originally operated in the basement of his home. As the business grew, A.C.T. later moved to an office in Marion, IL and later still to Carterville, IL. In August, 2002, the former ‘Goreville Video’ building was purchased, and A.C.T. moved back to Goreville with new and expanded services. Finally, in July 2007, due to the new business development planned for the south side of Goreville, our location at 901 South Broadway was purchased. 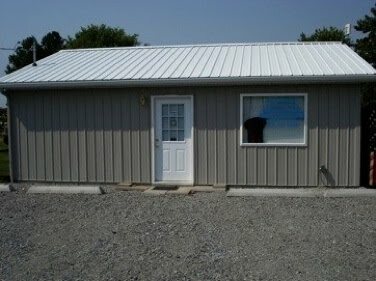 In early August 2007, our new office was completed at 422 South Royal Street in Goreville, and we moved to our current location. A.C.T. builds high-performance computer systems to your specifications. No longer do you have to settle for off-the-shelf systems that are often designed for only the simplest tasks, or may limit your future expansion. You can have a system custom-built for YOU that is perfect for either home or business use. Whether your into gaming, video and photo editing, music, or just about anything else, we can build a system tailor-made for YOU, and you won’t have to spend a fortune! We stand behind every desktop computer we build, with local support after the sale, complete with a one year parts and lifetime labor warranty. A.C.T. also provides service for most brands of PCs. If you have a virus problem, a hardware failure, or are looking to have your aging computer ‘rebuilt’ and turned into a much faster system, we can most likely help. Our labor rate is very competitive, and we aim to get your system back to you as quickly as possible. Please note, we do not provide service for computer peripherals such as monitors and printers. Download Teamviewer for Remote Support from A.C.T.